Choose from a variety of custom closet valets and sliding rods to keep garment bags and dry cleaning easily accessible in your new custom closet or existing closet. Mini closet valets are available for organizing small hanging items such as keys and necklaces so you always know right where they are. 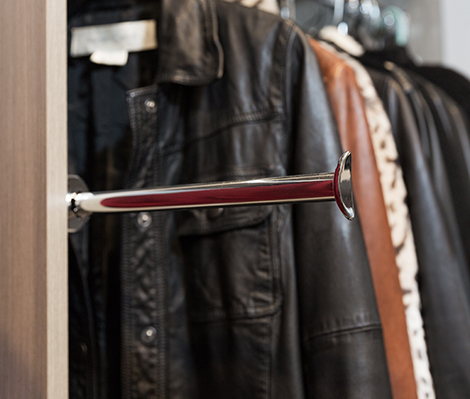 We carry a variety of custom closet valets and sliding rods to match any closet. Beyond Storage can install custom closet accessories to significantly increase the storage space of any closet. Our designers will work with you to find the perfect custom closet valets and sliding rods for your storage needs.